Published June 11, 2015 at 500 × 375 in My Adventures with Appreciative Inquiry (in Las Vegas). These are some of the goodies we had to play with at the training. 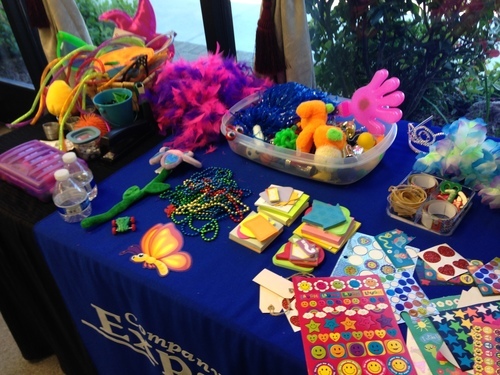 How fun to have a table full of stickers, toys, pipe cleaners, paper, glue and markers to play with. We adults need more play in our lives, I think.